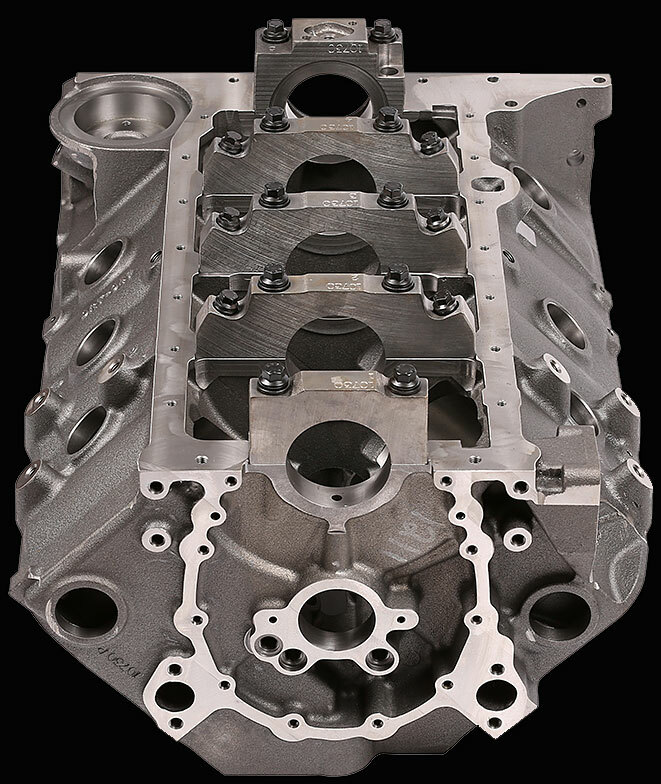 To some its just nuts and bolts, but the science behind the parts plays a critical role in keeping your high performance engine and other performance components together under high stress dynamic conditions. No one understands this better than ARP engineers who constantly strive to optimize key attributes of all its high performance fasteners. In this day and age it's pretty common to order ARP fasteners for all your projects. 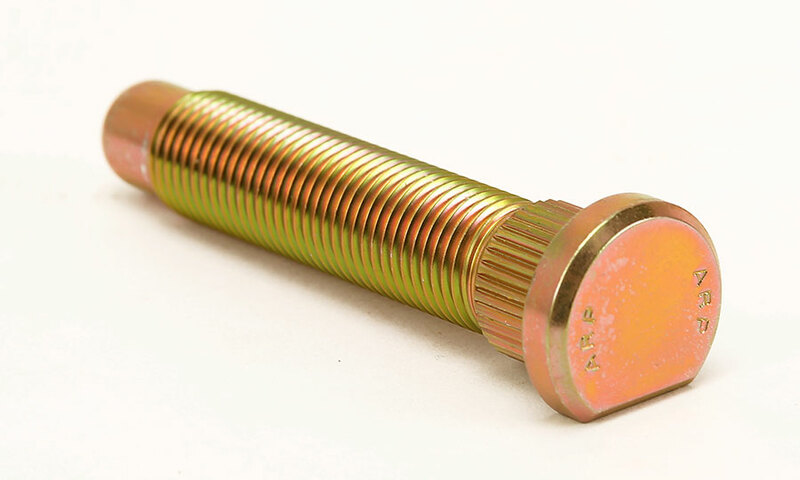 They are universally considered the Gold Standard of racing fasteners. So what sets them apart from other fasteners? 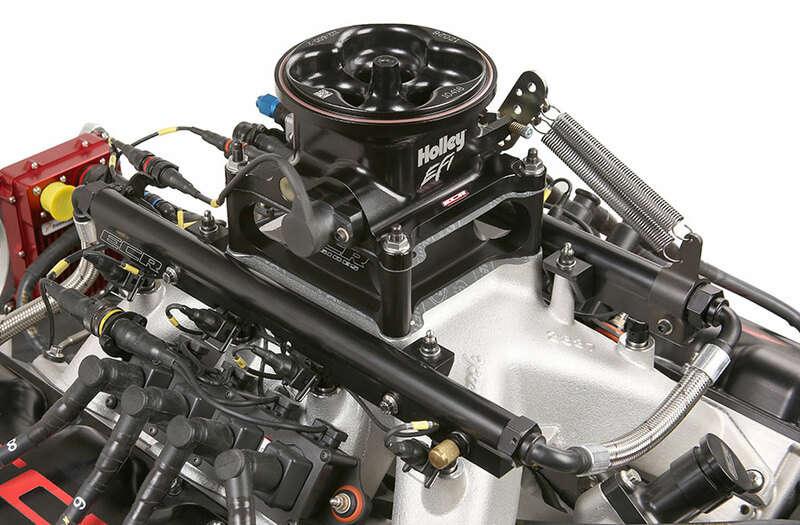 What are some of the design and manufacturing attributes that make racers and street performance guys insist on ARP fasteners in their engines and on their high performance cars? According to ARP's Chris Raschke, it's not just the superior strength and durability of the products, but also clearly visible attributes that you recognize when you see them and they automatically register as top quality in your mind. 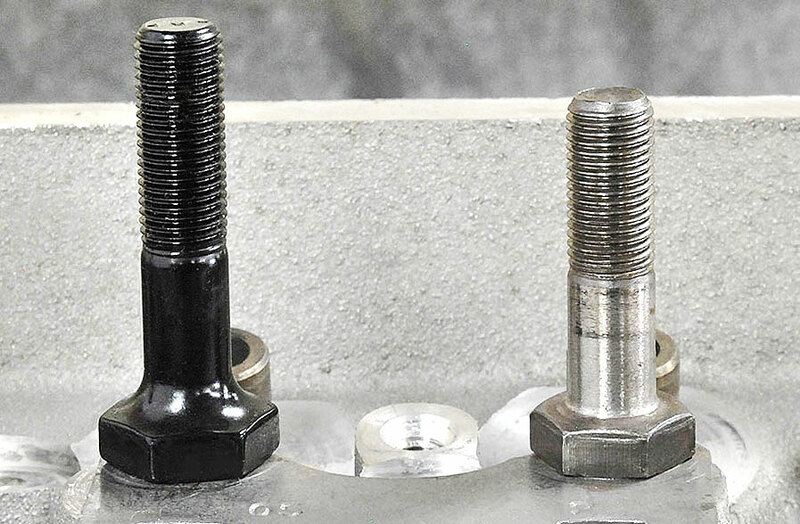 That includes things like thread quality, generous radii on all corners, finished surfaces on the ends of studs and bolts, surface finish and treatments, packaging and installation instructions and a whole list of hidden attributes that go into each nut and bolt designed for one specific purpose in your engine or vehicle. 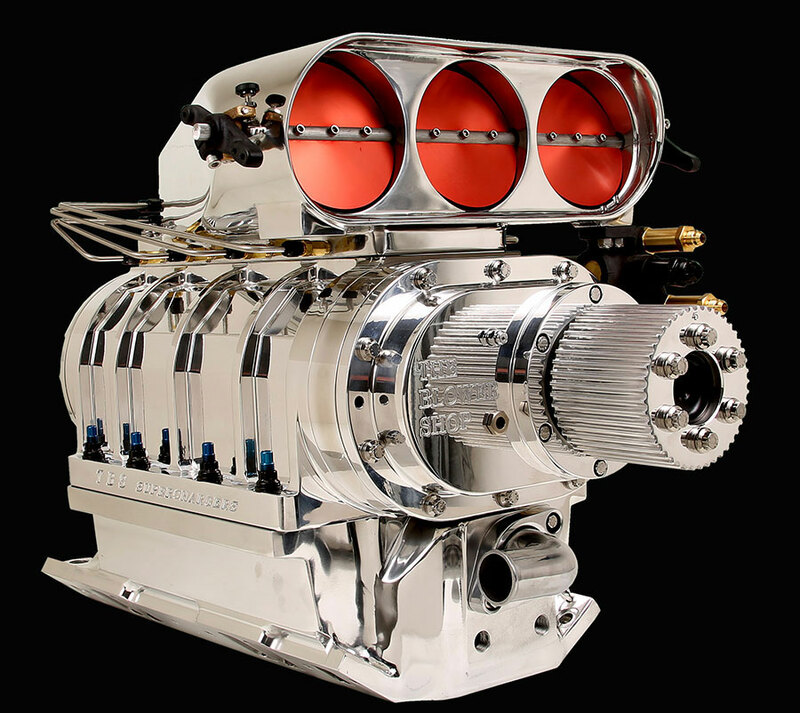 Savvy car guys recognize these attributes and understand the extra attention that ARP puts into every single part in its catalog. Note the clear difference in finish and surface treatment on the ARP stud to the left, the generous radius to the nut, rolled threads and finished top which is important if you are running Poly Loks that need a stable locking surface. 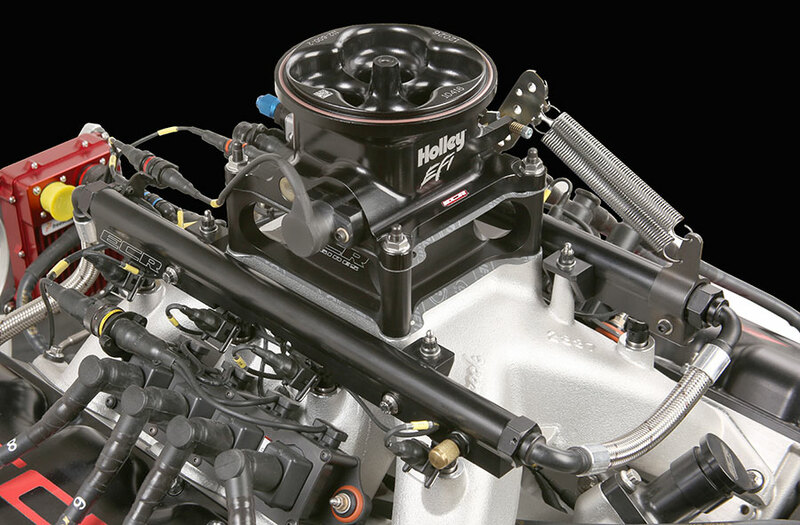 Every component in your engine is held together by fasteners designed for a specific purpose. 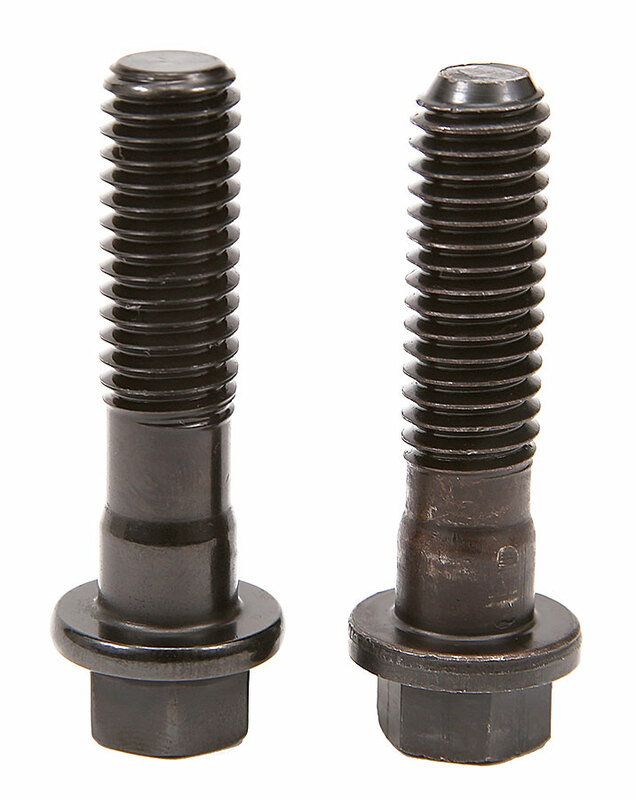 The quality of those fasteners is your insurance against poor performance and RUD; Rapid Unintended Disassembly. Who can't spot the difference between the factory rocker arm stud on the right and the high quality ARP stud on the left?. 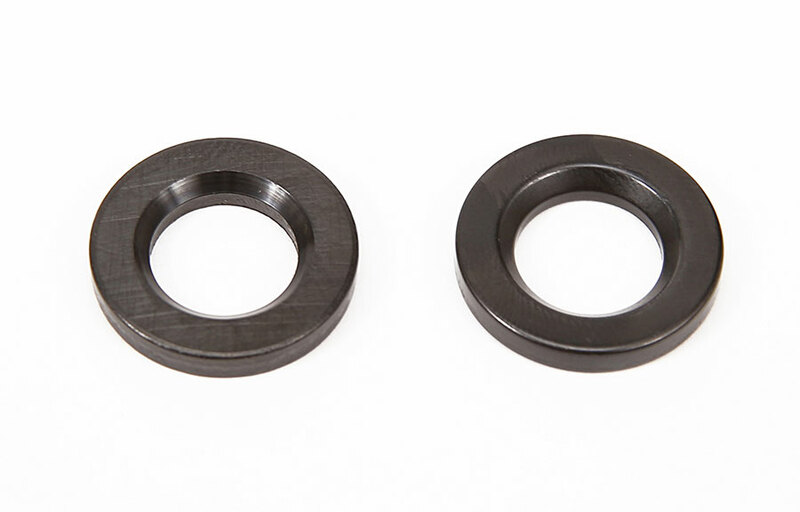 ARP's precision centerless ground surface finish and thread quality are clear visual clues of a superior part. 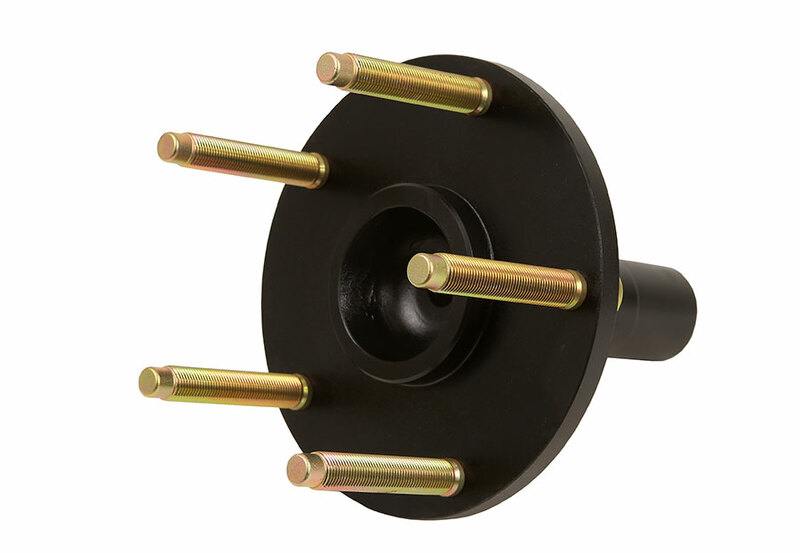 Rolled threads, broached nose and ARP identification project superior quality and every part is designed to the proper length for the applicaiton. 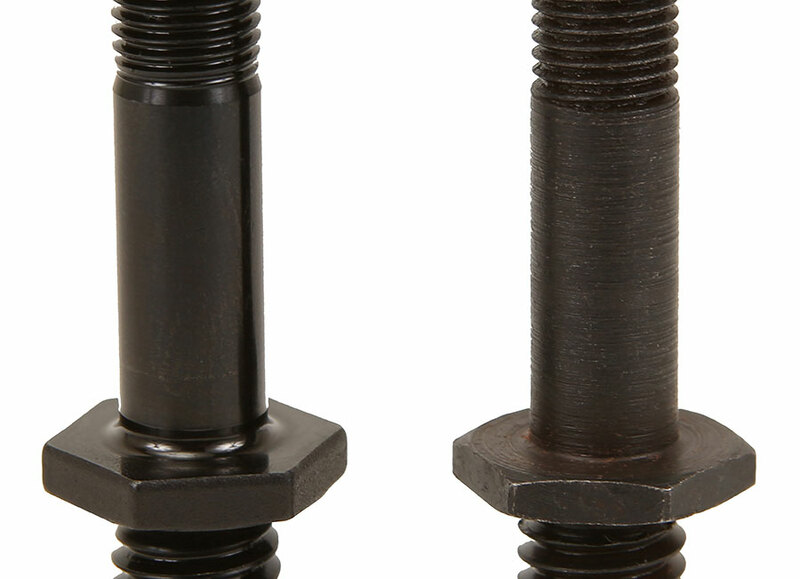 Head bolts incorporate near identical attributes and the ARP parallel ground flat washers (left) have a superior machined chamfer. 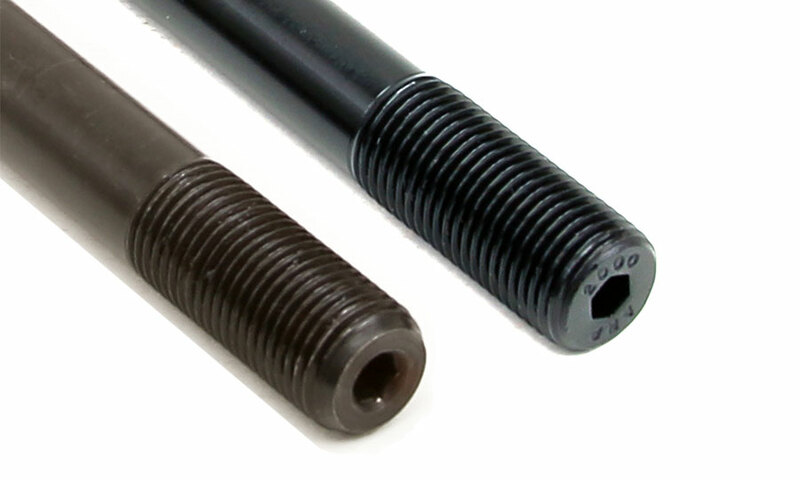 Compare the thread quality of the ARP rod bolt versus competitors product. 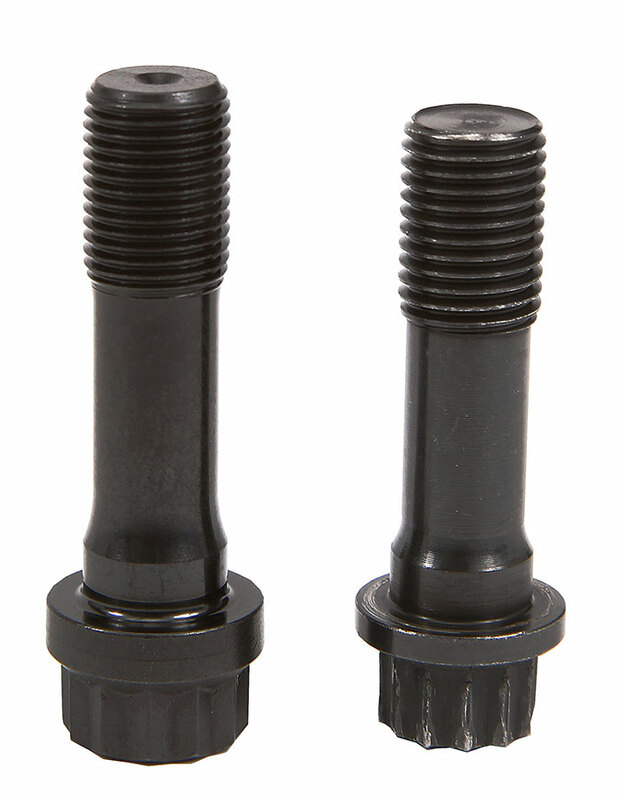 Note the heavy duty bolt head, undercut shank, superior fillet roll at the base and the centers to a rod bolt stretch gauge. 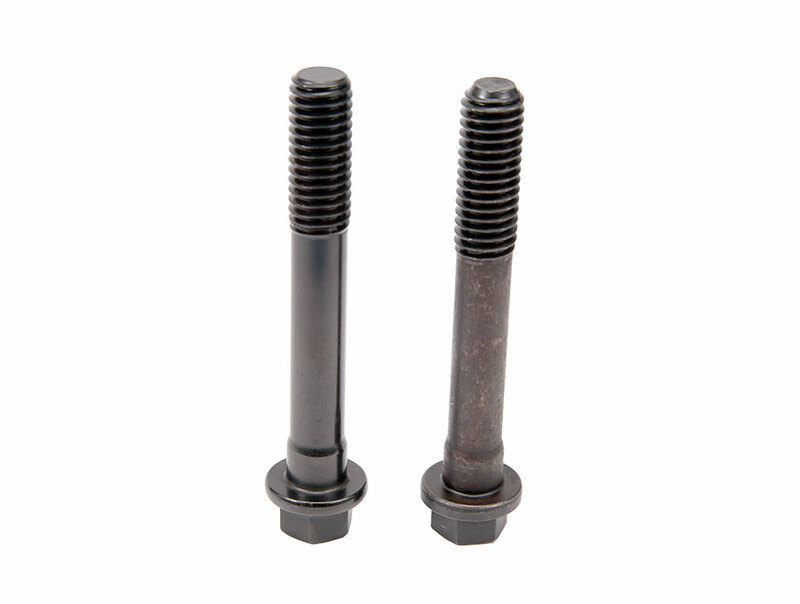 Main cap bolts and studs are particularly high stressed components that require maximum strength. 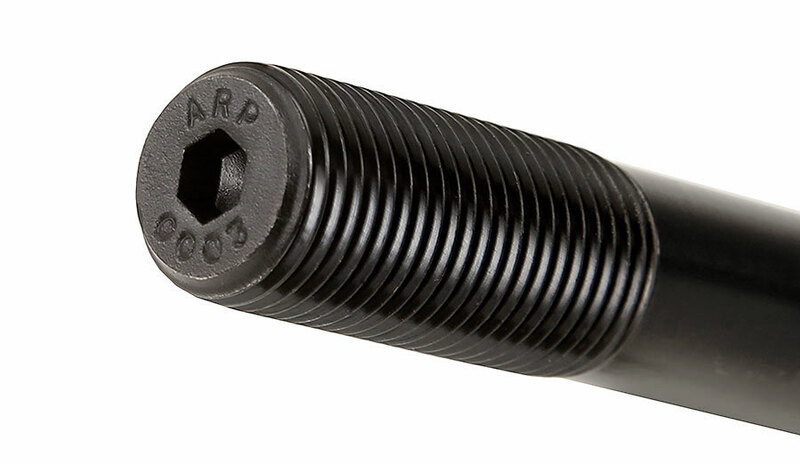 Incorporating the best possible alloy for each task, ARP goes to great length to make sure fasteners are the exact required length and quality for the task. Note the surface finish and generous bottom radius on the ARP clutch stud to the left. This is the kind of product feature that ensures top performance and eliminates failures. Each fastener is created for a specific intent. 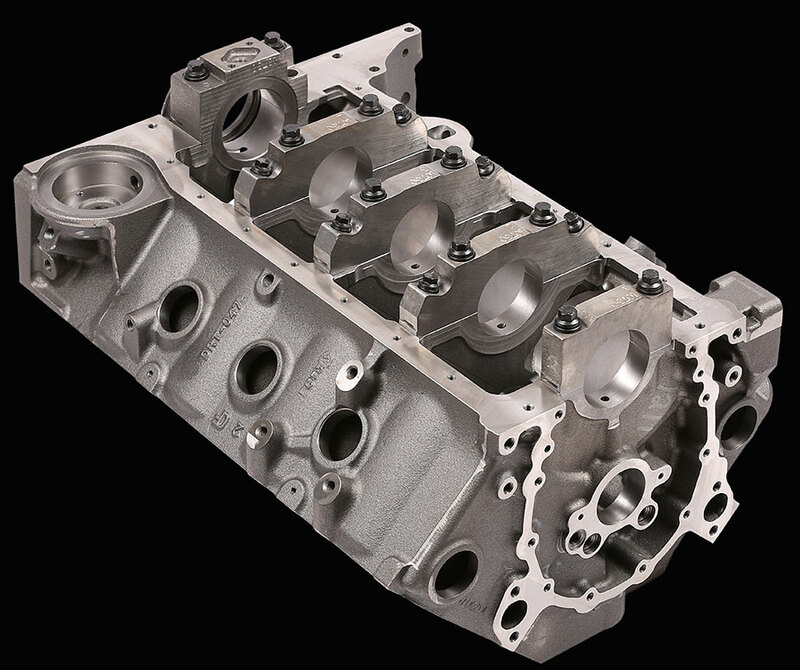 For example, most performance heads have blind holes that require a specific length for the intake manifold bolts. 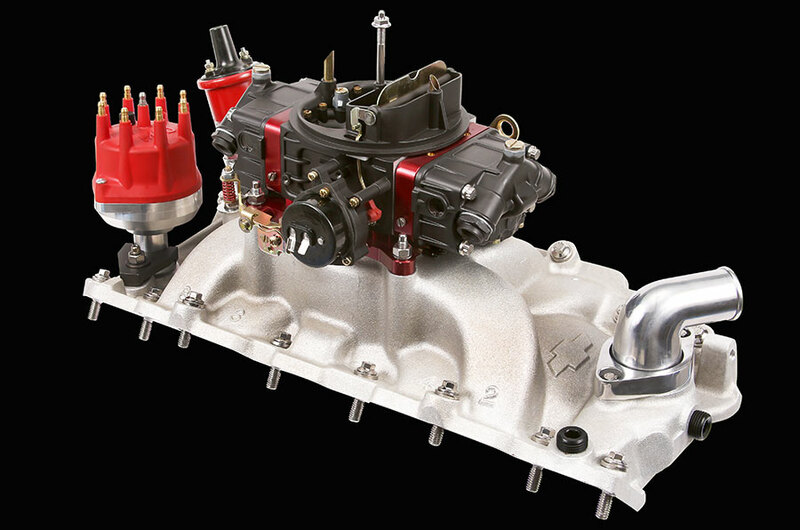 The same goes for carburetor studs, distributor hold down studs or bolts and all the other fasteners that allow you to mount your carburetor, distributor, coil, thermostat housing and much more. 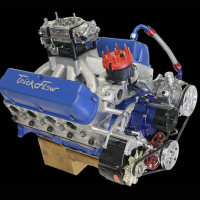 Specific lengths are required for carb spacers, fuel line mounting bolts, coil brackets, valve cover bolts or studs and a whole host of top end fasteners. ARP considers thread quality and finish equally important. Fit and finish, proper length and radii, bullet nosing on studs and every aspect of the fastener gets equal attention. 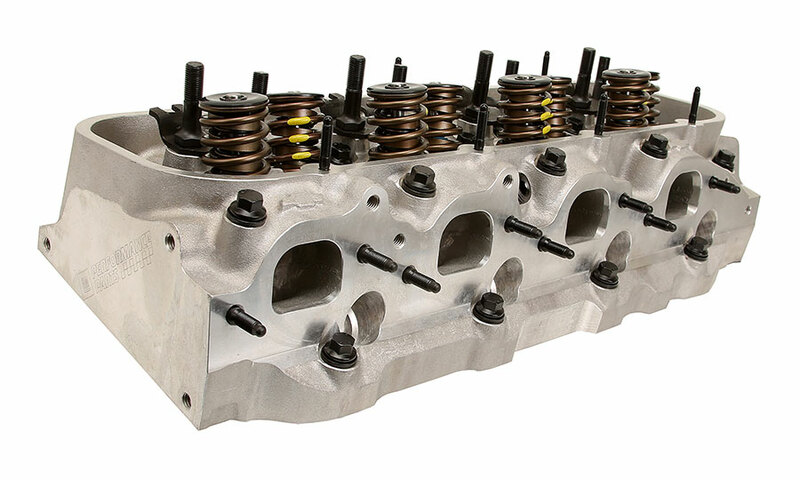 Cylinder head hardware is also an important consideration on any high performance engine builds. 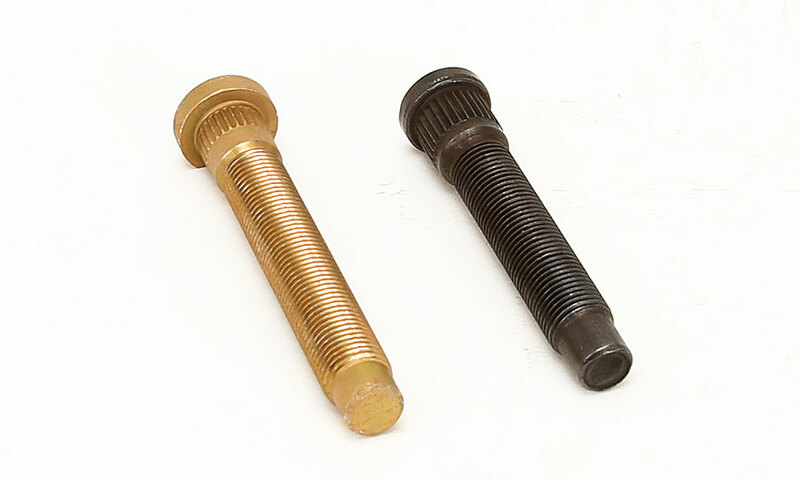 In addition to head bolts or studs, builders must also choose specific fasteners for header bolts and studs, rocker arm studs and supporting hardware for valve train support components such as stud girdles and individual shaft rocker stands. 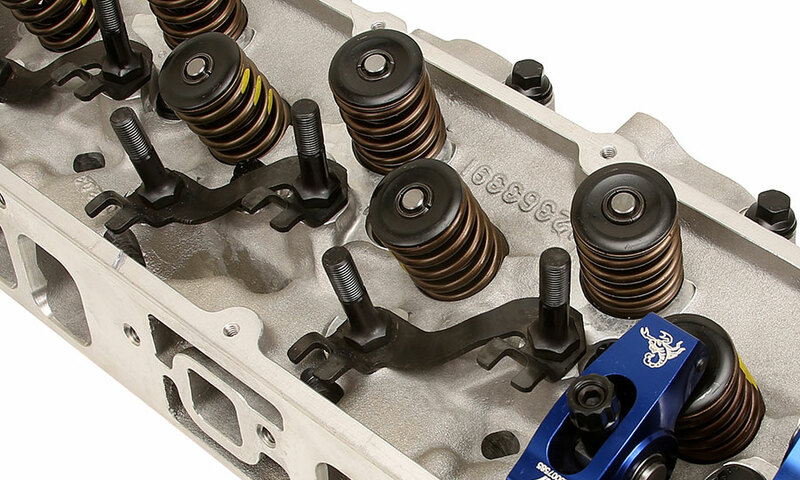 ARP valvetrain components are specifically engineered to optimize performance through small details like the flat surface on the top of rocker studs so that ARP “Perma Locs” or other Poly Locks will seat and lock correctly. And the bottom radius on the rocker studs mates correctly with the holes in the guide plate so there is no binding or interference and the studs install straight. Knowledge is a powerful tool. So, when someone tells you they're selling you a fastener that is just as good as ARP, or that it comes from the same factory in China, they're giving you the only clue you need to avoid them at all cost. ARP products are manufactured 100% in the United States and there is no China connection. They use proprietary alloys from the top steel manufacturers in the nation and there is no compromise anywhere in the manufacturing process. All the details listed here provide good visual clues to the difference between ARP products and inferior off-shore and domestic products.